Carie Broecker is the Executive Director and Co-Founder of Peace of Mind Dog Rescue in Pacific Grove, CA. Please visit their site and if you are not able to adopt or foster one of their amazing older dogs, consider donating to their cause. Who is considered a senior dog? Typically, a senior dog is seven years and up. Smaller dogs tend to live longer. The smaller dogs these days tend to live up to 17, 18 and even older than that. Bigger dogs tend to live to 12, 13 or 14. 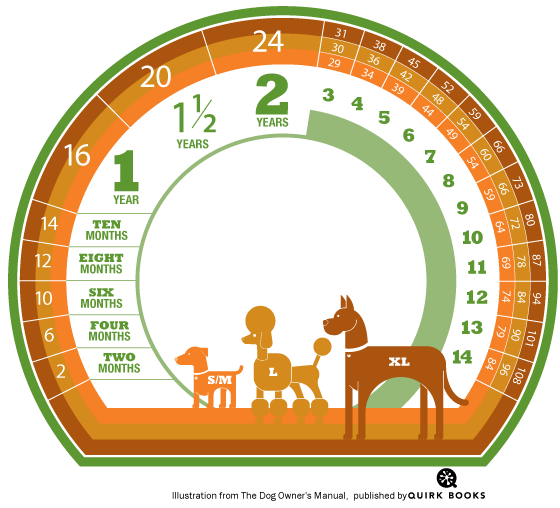 We’ve had some large breed dogs who lived to 15 and even 16. So, it depends on the size and the breed. But just like people, there is biological age and chronological age. And so a lot of dogs these days, seniors who are very well taken care of, who are getting good nutrition, supplements, good medical care, good exercise, they can be active and happy well into their teens. When is my dog a senior? The biggest reason for recognizing this life transition is to ensure regular, thorough health exams and baseline bloodwork. “We may catch an early problem before it develops into something more serious and it gives us something to compare to in the future,” he says. There are multiple factors that determine if your dog is a senior dog. The biggest factor in aging is a dog’s breed. Different breeds age at different rates. Large dogs tend to age more quickly than small dogs. For example, giant breeds like a Great Dane may be considered senior at 5 or 6, while a toy breed like a Chihuahua won’t really be considered senior until even 9 or 10. “It’s more of a mindset,” Dr. Grossbard explains. Healthy lifestyle choices play a role as well. Heavier-set animals have a greater disposition to heart disease, diabetes, and increased joint pressure, which can lead to the development of arthritis. These diseases can shorten your pet’s life. Senior wellness issues like obesity are important to treat. Dr. Grossbard typically recommends a strict dry food diet with treats and snacks in moderation. He says, “In general, the more exercise, the better,” and advices going to the vet to check out weight issues. You can help your pet stay fit with a walking routine and regular playtime. This also keeps your bond strong. Family genetics are another thing to consider. If you bought your dog from a breeder, you may be able to get some information about the parents’, grandparents’, or previous offspring’s medical history. If available, this can help pinpoint preventative measures or diagnostic testing your vet may recommend. A previously unhealthy lifestyle or past abuse of adopted dogs is another thing to consider. Stressful life situations can accelerate aging. Another example of a stressful life event is having a family member go to college, or for a couple to break up. Remember that big changes can be extremely taxing for your dog, especially if part of the “pack” is leaving. It’s important to recognize your dog’s reactions to stress and work to minimize unnecessary anxiety.